Earlier this week, Lars Klevberg revealed a first look at the murderous Chucky doll from his upcoming Child’s Play Remake. Franchise creator Don Mancini has expressed his dissatisfaction with the project through social media. It’s not surprising that Chucky is getting the remake treatment, but it is quite surprising to see that it’s happening without Mancini. And all while he is still putting out Child’s Play films and working on a TV series. The horror community is also not very pleased with the decision to put out the remake and they have been very vocal on social media, taking Mancini’s side. 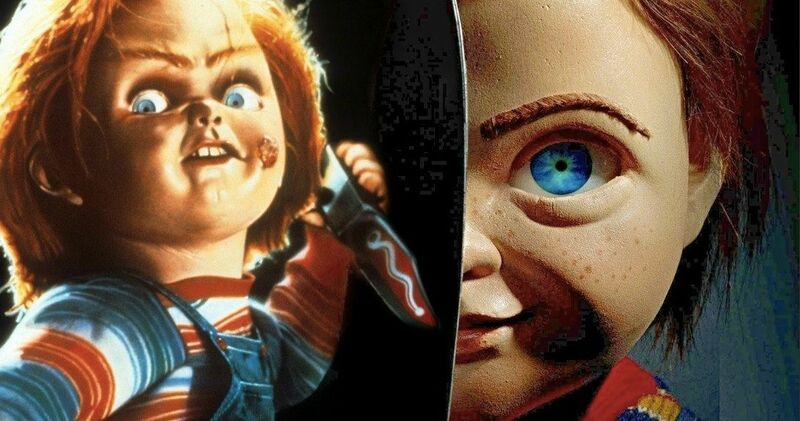 Chucky is coming back, but Child’s Play remake director Lars Klevberg has not announced who will be voicing the iconic doll or what the backstory will be this time around, which leads one to believe that they’re going to tinker with the original story. With that being said, the unveiling of the new Chucky received mixed responses online, but many were of the negative variety. However, Don Mancini had the best response to the new look when he posted a meme of pop diva Mariah Carey holding a sign that reads: “I don’t know her.” Mancini also captioned the meme by saying, “This is all I have to say on that subject,” in all capital letters. Point taken. Don Mancini clearly does not like the fact that a Child’s Play remake is being made and he is not alone. Last month, Child’s Play 2 star Christine Elise railed against the Chucky remake, calling it a “d*ck move,” and noting that it was incredibly disrespectful to be making a remake when the franchise is still healthy and moving forward. Elise added that she didn’t consider the remake to be a “real Chucky” movie, which is the stance that several horror fans are taking. The Child’s Play remake stars Aubrey Plaza, Brian Tyree Henry, and Gabriel Bateman. Director Lars Klevberg says that he’s a huge fan of Don Mancini’s and stated that Chucky was his gateway into the horror genre. The director is bummed that Mancini won’t have any part in the project that will be a new take on Chucky, but is moving ahead anyway. Plaza plays a mother who gets her son the murderous doll for his birthday and then all hell breaks loose. Don Mancini created the Child’s Play franchise and has written all seven films. In addition, he has directed the last three installments. Without his involvement, it’s not a proper Chucky movie. Brad Dourif, who voices the iconic character is also not involved in the remake. Regardless, the project is currently in production and will move forward, no matter how many people are against the idea of it happening in the first place. You can check out the creator’s reaction to the new look of the Chucky doll below, thanks to Don Mancini’s Twitter account.